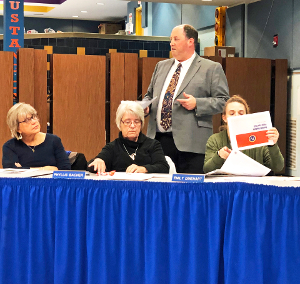 PENN YAN--The Penn Yan school board voted to adopt the proposed 2019-'20 school budget Wednesday, April 10 of $36,239,453 with a tax levy increase of 2.28 percent. The board also approved a resolution to spend $455,000 for four new vehicles. The purchases will include one 42 person passenger bus and three 65 passenger buses. WATKINS GLEN--The Arc of Schuyler food pack business is expanding. This week, Glen Co-Pack hosted an open house for people to see their new re-configured 5,000 square-foot workspace at 203 12th St. Holly Baker, The Arc of Schuyler director of communications, said, "We have been doing food packing in our building since 2010 but now with our expansion we won't be so tight for space and can be more efficient. Our food pack operation is located in the existing footprint of the Arc production facility, but we have more room than we did previously with our next door new Arc construction project." DUNDEE--The Dundee Library has announced Linda Nichols as the new Interim Director of the library. 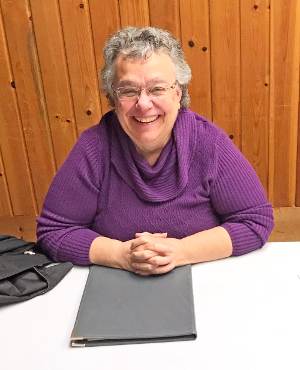 Nichols has career experience in both grant and library administration, most recently working as a grant project director for the Oswego County Boards of Cooperative Educational Services (BOCES). She has also worked for the Geneva Public Library, Cayuga-Onondaga BOCES, Steuben-Allegany BOCES, Dundee elementary school and Prattsburgh Central School. 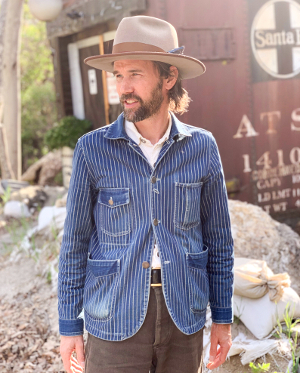 LOS ANGELES--Willie Watson is the proverbial small town boy who has made it to the big screen. Known locally for his music talent and his success with Old Crow Medicine Show, Willie's national acclaim includes his solo albums of Folk Singer Volume 1-2 and his most recent success as "The Kid" in The Ballad of Buster Scruggs. The Coen Brothers production was nominated for three Academy Awards including the best original song, "When a Cowboy Trades his Spurs for Wings," sung by Watson and Tim Blake Nelson. Burger King's veggie burger inspiration? 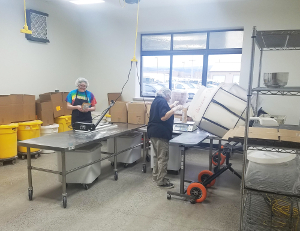 WATKINS GLEN--As one thing inevitably leads to another, a non-profit based in Watkins Glen has impacted food choices across the country. Gene Baur, Farm Sanctuary president and co-founder with Lorri Houston, found his calling when he rescued a live sheep named Hilda from a stockyard "dead pile." 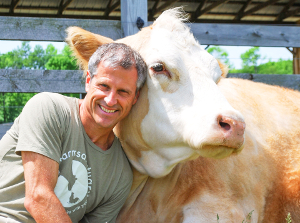 Needing a place to house her and other animals taken by police and animal rescue groups from conditions where they were starved or otherwise mistreated, he began Farm Sanctuary in 1986 near Watkins Glen on 271 acres close to Sugar Hill State Forest. NEW YORK (AP) -- U.S. measles cases have surged again, and are on pace to set a record for the most illnesses in 25 years. Health officials Monday, April 15 said 555 measles cases have been confirmed so far this year, up from 465 as of a week ago. While 20 states have reported cases, New York has been the epicenter. Nearly two-thirds of all cases have been in New York, and 85 percent of the latest week's cases came from the state. Most of the New York cases have been unvaccinated people in Orthodox Jewish communities. 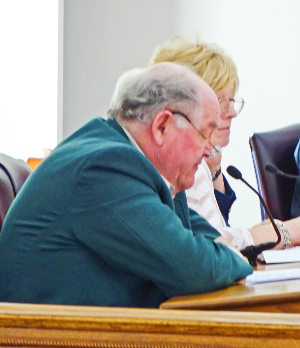 WATKINS GLEN--The Schuyler County legislature met Monday, April 8, for the regular monthly meeting in the legislative chambers at the county office building. All resolutions were passed unanimously with legislator Jim Howell absent Monday evening. During the public comment session at the beginning of the meeting, the group was asked some follow-up questions by a resident about the planning of the upcoming Woodstock 50 concert at Watkins Glen International. The event has been announced for Aug. 16-18. 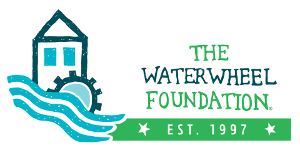 WATKINS GLEN--Seven nonprofits serving Schuyler County that assisted in the flood recovery last year received $14,875.06 each from the band Phish and their nonprofit foundation, The WaterWheel Foundation. The announcement was made last week and the check presentation was held Tuesday, April 9 at Watkins Glen International. 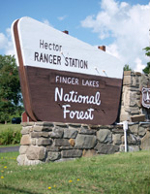 Recipients will include: the Watkins Glen Fire Department, Humane Society of Schuyler County, Hector Food Pantry, Valois, Logan and Hector Fire Department, Arbor Housing and Development Foundation, American Red Cross of the Finger Lakes and the Dundee Fire and Rescue Team. 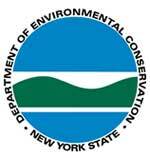 NEW YORK--The Department of Environmental Conservation (DEC) has issued a warning for residents to obey the statewide burn ban as conditions for wildfires have become heightened across most of the state, with temperatures and winds increasing. "Dry weather, warming temperatures, and strong winds today have elevated the risk of fires across much of the state," DEC Commissioner Basil Seggos said. "Please heed the statewide ban and do not burn any brush or yard debris, both now and over the next several weeks as conditions for wildfire outbreaks likely increase." 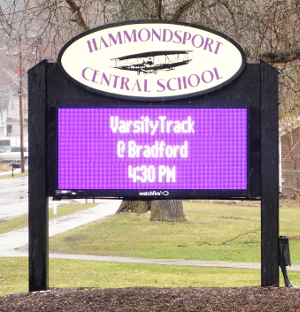 HAMMONDSPORT--The Hammondsport and Bradford school districts have put together a plan for sports team sharing that should allow students to compete even with declining enrollment numbers. 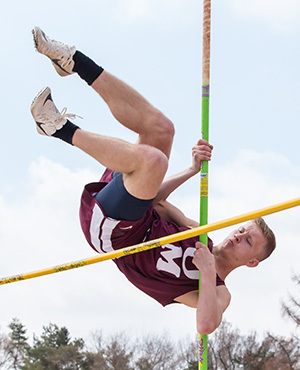 Kyle Bower, superintendent of the Hammondsport Central School District, said his school has partnered with several districts for many years in several sports. Bower said, "We have previously combined with Bradford, Prattsburgh and Avoca." 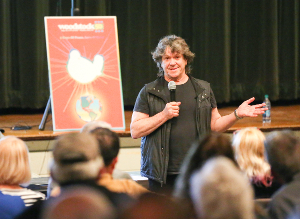 WATKINS GLEN--The Watkins Glen Performing Arts Center was filled with residents, fans and local officials Wednesday, March 27 for an information session and a question and answer period with the Woodstock 50 organizers. The three-day event is planned for Aug. 16 to 18. Among the presenters was Woodstock co-creator Michael Lang and a number of experts in various fields including transportation, security and medical. DUNDEE--The Dundee school board met Thursday, March 28 and adopted a proposed $19,073,447 budget for the 2019-'20 school year which includes a 3.9 percent tax levy increase. Melissa Lawson, Dundee's district business manager, noted the three expense areas increasing the most include: contractual supplies and services, up 8 percent; debt service, up 9 percent and the Board of Cooperative Educational Services (BOCES), up 10.8 percent. 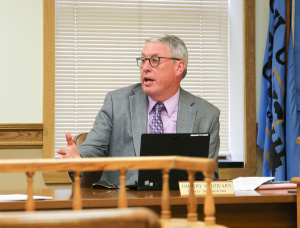 DUNDEE--The Dundee school board met Thursday, March 28 and Superintendent Kelly Houck provided updates for the board on several school issues. The topics included mental health resources, cyber security and the possibility of partnering some select school sports teams. 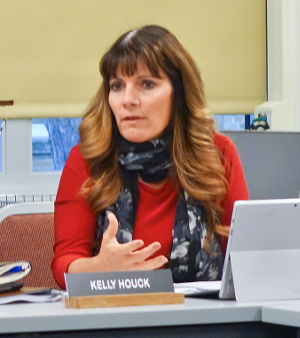 For mental health, Houck previously contacted state representatives and state school officials to stress the urgent need for student and family mental health resources within the district and the county. SCHUYLER COUNTY--Elections were held in Schuyler County, Tuesday, March 19 featuring mayoral races in both Watkins Glen and Odessa. Political newcomer Luke Leszyk topped Trustee Laurie DeNardo for the Watkins Glen mayor position, 330-269. 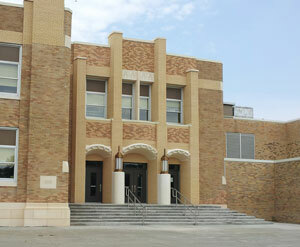 There were also two trustee positions available with three candidates running. Louis Perazzini and Nancy Woodworth were elected with 360 and 333 votes, respectively. 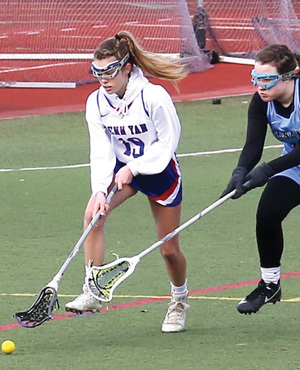 FINGER LAKES--Please click the 'Read More...' link to see the weekly sports results for Penn Yan, Dundee, Hammondsport, Watkins Glen and Odessa-Montour. These results appeared in the April 17 newspapers. 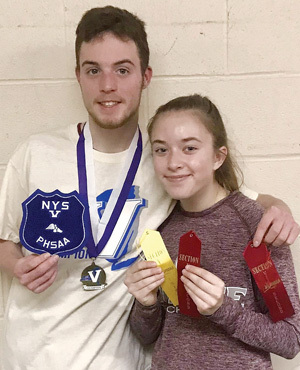 FINGER LAKES--Please click the 'Read More...' link to see the weekly sports results for Dundee, Penn Yan, Hammondsport, Watkins Glen and Odessa-Montour. These results appeared in the April 10 newspapers. 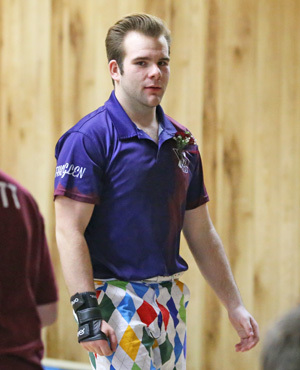 FINGER LAKES--The following sports photo galleries were recently uploaded. Click 'Read more...' for the links. 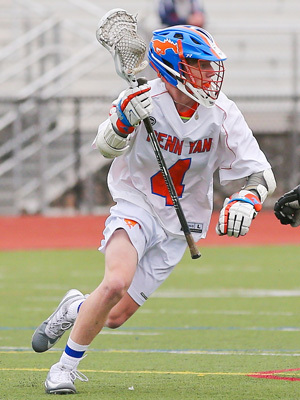 FINGER LAKES--Please click the 'Read More...' link to see the weekly sports results for Penn Yan, Watkins Glen and Odessa-Montour. These results appeared in the April 3 newspapers. April 18 ... Dryden, 4:30 p.m.
April 22 ... @ Elmira Notre Dame, 4:30 p.m.
April 23 ... @ Candor, 4:30 p.m.
April 26 ... @ Bath Invitational, 5 p.m.
April 15 ... Elmira Notre Dame, TBA. April 22 ... @ Odessa-Montour, 4 p.m.
April 18 ... @ Whitney Point, 4:30 p.m.
April 22 ... Elmira Heights, 4:30 p.m.
April 24 ... @ Moravia, 4:30 p.m.
April 24 ... Trumansburg, 4:30 p.m..
April 17 ... @ Erie Cathedral Prep, 4 p.m.
April 20 ... @ Canandaigua, noon. April 17 ... Seton Catholic, 2 p.m.
April 24 ... @ Marcus Whitman, 5 p.m.
April 18 ... @ Newark, TBA. April 23 ... Palmyra-Macedon, 4:30 p.m.
April 25 ... @ Wayne, 4:30 p.m.
April 22 ... @ Palmyra-Macedon, 4:30 p.m.
April 29 ... @ Wayne, 4:30 p.m.
April 23 ... @ Clyde Savannah, 4:30 p.m.
April 26 ... @ Wayne Invitational, 4:30 p.m.
April 23 ... Campbell-Savona (@ Bradford), 4:30 p.m.
April 26 ... @ Addison, 4:30 p.m.
April 22 ... Addison (@ Bradford), 4:30 p.m.
April 23 ... Campbell-Savona, 4:30 p.m.
April 24 ... Canisteo-Greenwood, 4:30 p.m.
April 23 ... @ Alfred Almond, 4:30 p.m.
April 26 ... @ Bath, TBA. April 23 ... Harley Allendale Columbia, 4:30 p.m.
April 24 ... @ South Seneca, 4:30 p.m.
April 23 ... Gananda, 4:30 p.m.
April 30 ... Lyons, 4:30 p.m. 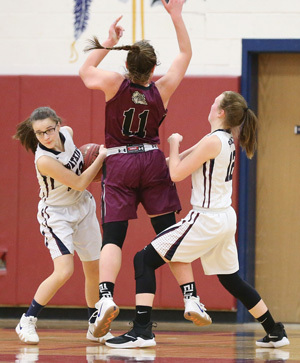 TROY--The Watkins Glen girls varsity basketball team fell to Cambridge, 57-43, in the New York state Class C championship, Saturday, March 16, at Hudson Valley Community College. Danielle Leszyk and Adrienna Solomon both scored 11 points for Watkins. Taylor Kelly earned 10 points. 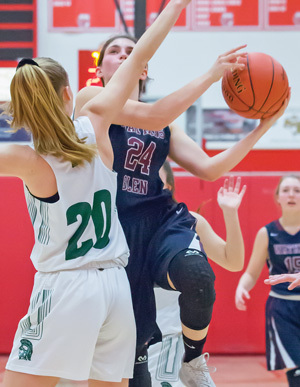 Hannah Morse netted nine points, while Kelsey Kernan added two. 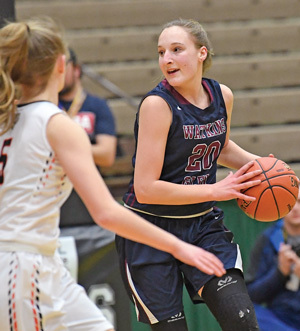 BINGHAMTON--The Watkins Glen girls varsity basketball team claimed the Class C Regional Championship, Sunday, March 10, and advances to the New York state Class C semifinals. The Senecas defeated Cooperstown, 60-49 at the Floyd L. Maines Veterans Memorial Arena in Binghamton. Leading Watkins Glen was Taylor Kelly with 20 points and three rebounds. Hannah Morse netted 17 points, including a pair of three-point shots, eight assists, six rebounds, and three steals. Danielle Leszyk posted nine points and six rebounds. FINGER LAKES--Please click the 'Read More...' link to see the weekly sports results for Watkins Glen, Hammondsport and Penn Yan. These results appeared in the March 6 newspapers. ALBANY--The Odessa-Montour/Watkins Glen wrestling team's Dylan Houseknecht won the New York State Public High School Athletic Association Division 2 championship, Saturday, Feb. 23. 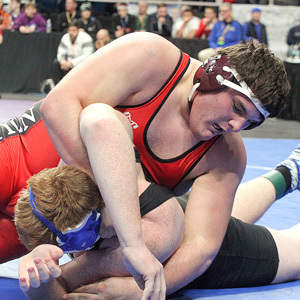 Houseknecht won the 285 weight class in overtime against Newark Valley's Trentyn Rupert. 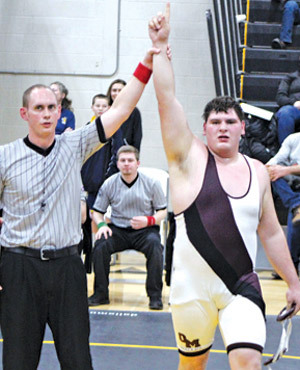 He is also the first Odessa-Montour wrestler to win a state title. FINGER LAKES--Please click the 'Read More...' link to see the weekly sports results for Watkins Glen, Odessa-Montour, Dundee, Penn Yan and Hammondsport. These results appeared in the Feb. 27 newspapers. FINGER LAKES--Please click the 'Read More...' link to see the weekly sports results for Dundee, Watkins Glen, Penn Yan, Odessa-Montour and Hammondsport. These results appeared in the Feb. 20 newspapers. FINGER LAKES--Please click the 'Read More...' link to see the weekly sports results for Odessa-Montour, Watkins Glen, Penn Yan, Dundee and Hammondsport. These results appeared in the Feb. 13 newspapers. 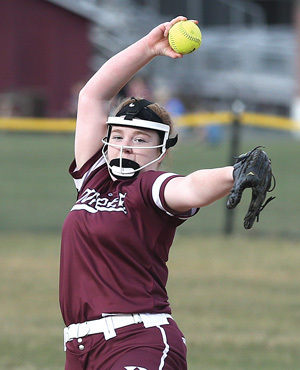 FINGER LAKES--Please click the 'Read More...' link to see the weekly sports results for Dundee, Hammondsport, Penn Yan, Watkins Glen and Odessa-Montour. These results appeared in the Feb. 6 newspapers. 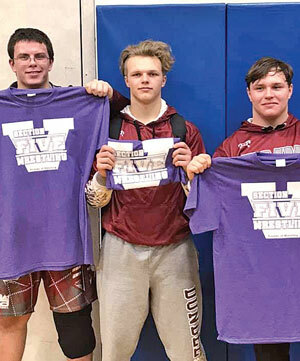 FINGER LAKES--Please click the 'Read More...' link to see the weekly sports results for Watkins Glen, Odessa-Montour, Dundee, Penn Yan and Hammondsport. These results appeared in the Jan. 30 newspapers.